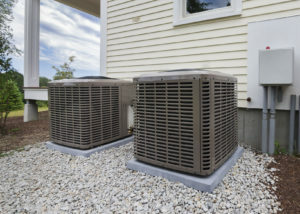 Of all of the systems in your home that are designed to provide you with comfort regardless of what is going on outside, your heating and cooling system and its many components is by far one of the most complex. And when it is not working properly, it can lead to significant discomfort, and may even be dangerous for your health and wellbeing. If a heating or cooling system question or issue, our talented service technicians are only a phone call away. HVAC maintenance is important. However, realize that it is not always a top priority for homeowners, who often unconsciously put of maintenance until it’s too late and something stops working as it should. Air conditioning repair or heating system service is often something that can’t wait. Regardless of your heating or cooling issue, we are ready to assist. Nothing broken? We can still be of service. We recommend annual HVAC system checkups to ensure that all moving parts are operating optimally. If it has been a while since a professional has inspected your HVAC system, contact us today. We have been in business, serving those in Munster, Indiana and surrounding areas, for 48 years. Our business’s longevity has been made possible thanks to our commitment to the principles of superior customer service and excellence in practice. Our service technicians have encountered countless heating and air conditioning problems – with each new problem that we face, we gain more knowledge, refine our skill set, and garner hands-on experience. Check us out on the website of the Better Business Bureau. When you do, you’ll see that not only have we been awarded an A+ rating (the highest rating the bureau offers), but also that we have zero customer complaints. The fact that we have been in business for five decades and have not had a single customer complaint filed against us with the Better Business Bureau is a testament to our hard work and dedicated customer approach. It is not enough just to offer excellent customer service and a commitment that we will get the job done right every time – we also want to assure you that we offer competitive and fair pricing, so that getting your home back to a comfortable temperature doesn’t cost an arm and a leg. We also offer a quick response time – if we don’t answer when you call, expect us to get back to you in no more than 24 hours. Of course, we always give you a free quote before we begin air conditioning service. To learn more about our services, fill out our contact form online or call us now at 708-339-6444.